These programs for the private sector will get small and medium sized enterprises in Yukon growing and working together to improve our economy. With these programs, the Whitehorse Chamber of Commerce will create a business friendly community and a dynamic private sector. The Chamber has heard its members when they say "Do Something!" so these programs reflect what we are doing to cultivate our business sector. Together we will develop a healthy and expanding private sector. Click on each program below to learn more! Small and medium sized enterprises (SMEs) play a vital role in the Canadian economy. According to the Organization for Economic Cooperation and Development, they account for 64% of all private sector employment and more than 82% of total employment in health, construction, forestry, tourism and hospitality sectors. The Whitehorse Chamber of Commerce, recognizing the expanding population and economic growth of the Yukon, saw a need for building the capacity of our SME Community. Partnering with local expertise the Chamber has developed a series of seminars, workshops and courses to assist SME's in acquiring the training that they need, both for employers and employees, to grow and take advantage of economic opportunities. Through the years the Chamber and its partners have worked to keep the training and development programs current. During the past few years there have been more than 140 businesses each year taking advantage of the programs. A Business After Hours is an opportunity for Chamber members to showcase their business. It allows business owners to gain exposure for their products or services by hosting an event at their place of business or at a venue of their choice. Smaller or similar types of businesses can co-host these events and creativity may be introduced into a Business After Hours through theme evenings, presentations, demonstrations, etc. – opportunities are limited only by your imagination! These events are generally held on a Thursday evening from 5:00 pm to 7:00 pm twice per month except during the summer months of July and August. A Business After Hours event maximizes networking opportunities and the development of new business contacts by extending an open invitation to the business community to attend so be sure to show up with plenty of business cards! 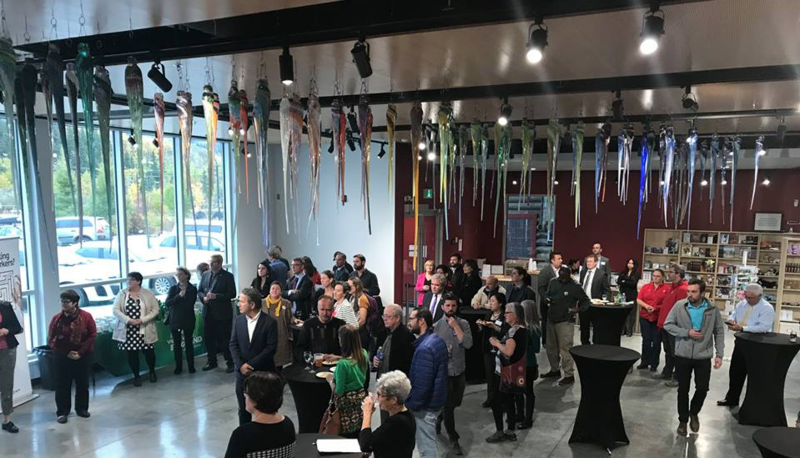 We encourage all business people and residents alike of Whitehorse and Yukon to support their local business community by attending Business After Hours events. Enjoy hors d’oeuvres and refreshments with other local professionals while supporting your local business community in a comfortable, relaxed setting. Come for 15 minutes or stay for the full two hours, these events are the perfect opportunity to build new business relationships and strengthen established ones while conveniently fitting into your busy schedule. Plus, as an added bonus, business card draws give guests the chance to win some great prizes! Contact the Whitehorse Chamber at 667-7545 or [email protected] and we will tell you how! The Whitehorse Chamber, working with the business community, and with the financial support of the Government of Yukon's Department of Economic Development created a Buy Local Campaign that we call Look Inside – Your Business Builds Community. Our goal is to create a healthy and competitive Whitehorse economy and a thriving private sector. Part of this initiative is the Yukoner Appreciation Day celebrated the first Friday of November each year. This event, which heralds a huge ‘thank you’ to Whitehorse and Yukon residents attracted over 56 businesses this year and well over 3,000 residents visiting participating businesses. What are our Buy Local objectives? Increasing Yukon consumer and business awareness of the benefits of local purchases and the contribution of the business community to Whitehorse. Educating Whitehorse businesses – SME Training and Development on the value proposition of service and customer satisfaction, of inventory levels, and of giving back to the community and of purchasing from other local businesses. Increasing the priority of local spending in decision-making criteria of Yukon consumers and businesses. Strengthen co-promotional/partnerships/collaborative efforts between local businesses and organizations. Secure recognition within all levels of government procurement of benefits of spending within Whitehorse. With the steady growth in retail spending habits it seems we are having an impact on Whitehorse Consumers; but this is not an area where we can let up – we have to keep hitting home with the messaging. Many cities across Canada are encouraging people in their communities to shop local. The chamber’s Look Inside campaign was created to show Yukoners, business people and government purchasing agents the value of thinking locally and making purchases inside Whitehorse and Yukon. There’s value in shopping local, and it goes beyond the immediate gratification of finding the right product and the great feeling you get from service beyond expectations. Shopping is, above all, a social experience. From frequenting your neighbour’s business to seasonal shopping events with visitors, to the relationships developed with the staff while shopping. Shopping locally develops our economy, creates jobs, and supports many community events. Look Inside Whitehorse is a Facebook page supported by the Whitehorse Chamber of Commerce and dedicated to supporting local business in our community. We post two business profiles each month by interviewing local entrepreneurs and businesses who are Whitehorse Chamber members and have requested to be featured. These profiles are created and written by a local contractor. We encourage all businesses to e-mail: Avery Brohman at: [email protected], or message the Look Inside Facebook page to be featured. Thanks, and we look forward to profiling your business! For the past several years the Whitehorse Chamber of Commerce has partnered with Challenge Disability Resource Group and the City of Whitehorse to organize and facilitate the Planter Box Program. The Planter Box Program is a popular program that operates annually from June until the beginning of September (weather permitting). The Planter Box Program helps beautify the city of Whitehorse by greatly adding to the aesthetic value of our city and are appreciated by residents and visitors alike. Many people in years past have commented on how the planter boxes make a huge contribution to the beauty of the downtown core. Businesses pay a one-time fee and are then permitted to place weatherproof signs on the planter boxes in a manner that does not detract from the beauty of the boxes. The planter boxes are distributed throughout the downtown core and businesses can reserve their spot(s) beginning in April of the current year. · The program runs from mid-June until the middle of September (weather permitting). · The business chooses (up to two boxes), what type of box (rectangular or corner) and the location of the planter box(es) they wish to place an advertisement, some restrictions apply. If space remains available, businesses may sign up for up to two more boxes. · Whitehorse Chamber members will be given first choice, but the program is open to all Whitehorse businesses. Planter boxes will be awarded on a first-come-first-served basis. · Signage may be placed on one or all sides of the planter boxes, but sign size is limited to a maximum size of 25"wide and 30"high on corner boxes and 37”L x 15”H on rectangular boxes. As long as they are in good condition, signs from previous years may be used. · The Chamber will notify businesses prior to the delivery of the planter boxes and we ask that the business clearly mark their desired delivery location(s). · The City of Whitehorse donates the manpower and equipment to deliver and remove the planter boxes. Putting up and taking down signage on the boxes; however, is the responsibility of the business. · The fees to reserve your planter box(es) are payable to the Whitehorse Chamber of Commerce and are due prior to delivery, otherwise you will “lose” your planter box, at which time it will be made available for another business. · The cost is $200.00 + GST for a rectangular box and $250.00 + GST for a corner box for the season. If you have any question about the program, please contact Andrei Samson at [email protected] or call (867) 667-7545. What is Partnering for Success? 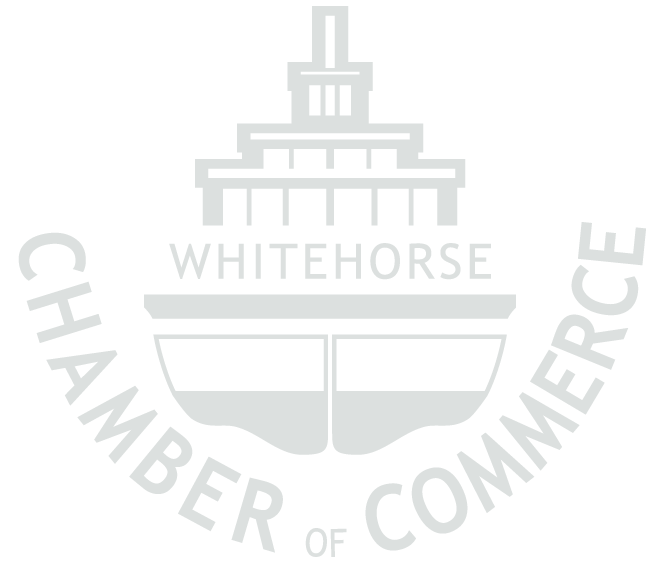 Partnering for Success is a Whitehorse Chamber of Commerce initiative created to strengthen economic growth, prosperity and cooperation throughout the territory. This private-sector driven initiative exists to encourage and support our business community, industry associations,governments and First Nations to work together, address common challenges and most importantly, find common solutions for the benefit of all Yukon residents. It is imperative that as a small jurisdiction,we come together and identify the opportunities that will propel our economy forward – for our generation, for our children and for their children. Vision Partnering for Success is a conduit for cooperation to foster economic prosperity for Yukon. Partnering for Success is a conduit for cooperation to foster economic prosperity for Yukon. Partnering for Success acts to foster economic prosperity through strengthened collaboration, understanding and awareness between business and all orders of government to affect proactive, timely and solution-oriented action and change. The Urban Visitor Signage (UVS) is a project spearheaded by the Whitehorse Chamber of Commerce in partnership with the Government of Yukon – Department of Highways and Public Works in 2006 to improve the sharing of information directed to visitors traveling through Whitehorse and allowing for businesses wishing to attract the interest of those traveling along the highway within Whitehorse city limits. The Whitehorse Chamber of Commerce installs and maintains the highway sign in both directions and currently has openings available for applications for UVS from the business community in the categories of Gas, Food, Lodging, Services and Attractions. We will work with your business to ensure that proposed signs conform with the policy directives regarding size of sign, lettering and colours. To know more about this program please email [email protected].